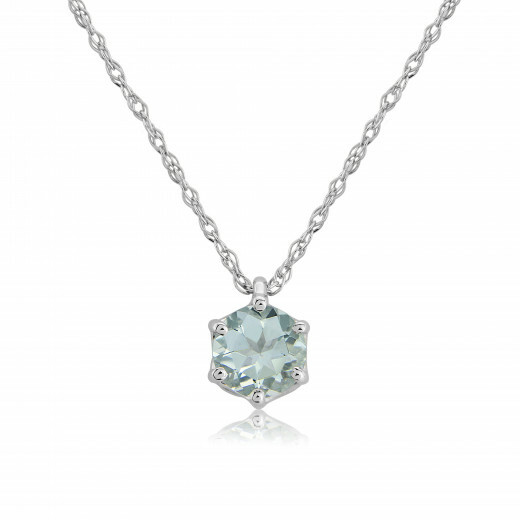 A White Gold Pendant Necklace with a 5mm Aquamarine held by a six claw setting and strung on a fine chain. A beautifully understated piece with a delicate pale blue colour and a highly polished finish. This ocean coloured gem represents cleansing and clear thoughts and communication and is said to protect the wearer when travelling on water. 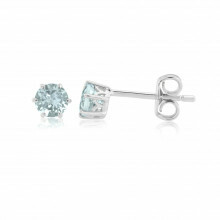 Aquamarine is also the birthstone for March.